The minimal, streamlined look of this room, and the quirky touches with the hangers on a wood chain and gold-tinged rug. ← French Vintage or Cool Marble? Definitely love this style! 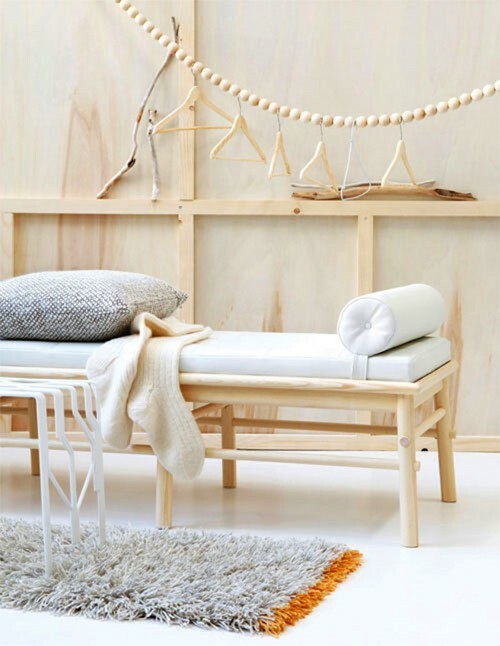 I love light wood, and that chain with the hangers is such a cute touch! I might try it out sometime!